I'm currently a nursing mama and like some other moms I know I sometimes feel that I'm not producing enough. It seems to be a common concern, and while I know that many schools of thought say "You're fine. Your body knows what your baby needs." I need to actually do something about it to feel sane. So I started making lactation cookies. I mean c'mon, it's an excuse to eat cookies and feel like I'm doing something good! I really can feel a difference when I use these especially if I eat one shortly before pumping. These have the traditional milk producing (galactagogue) ingredients: oatmeal and brewer's yeast. Instead of flax seeds which are frequently used I choose chia seeds. They have the same omega 3's of the flax but have a great glycemic index and also have an anti-inflammatory component, so when my non-milk producing husband eats them maybe they'll help with his back pain. 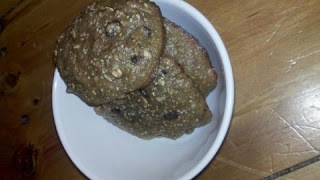 Chia seeds tend to soak up extra liquid and keep the cookies from being to runny since I don't use butter or oil in these. I figure if I'm going to be snacking on them constantly I'll make them healthy. Mashed banana stands in for butter. Even if you're not a mom or nursing or even female I swear they're really yummy! 2. In a mixer bowl mash up 3 ripe bananas. 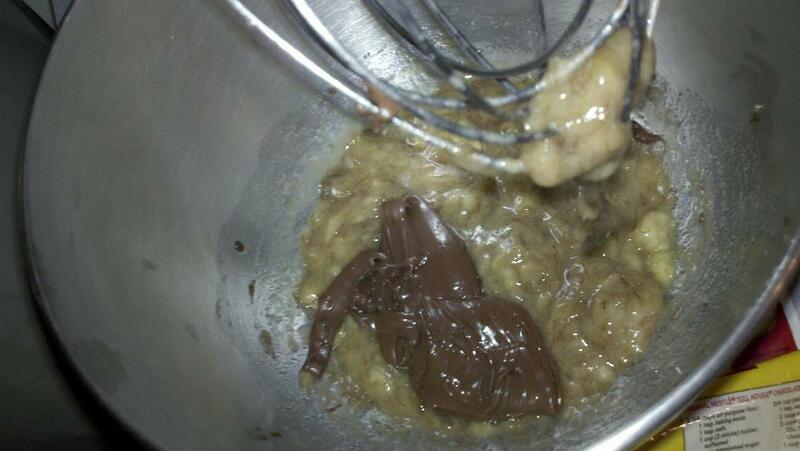 This will yield roughly 1 cup of smooshed banana, which I use instead of butter. Add in a large spoonful of Nutella or peanut butter. It helps to "cream" the banana with the sugar. Add in the brown sugar and after that is mixed in the eggs one by one. 3. 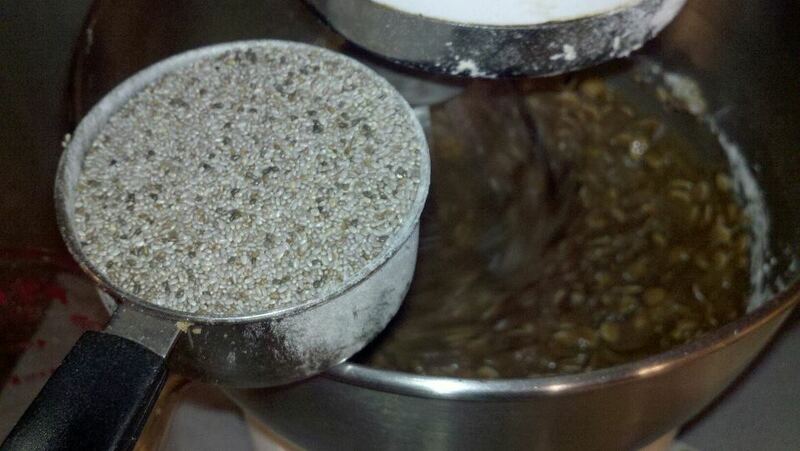 Add flour and oatmeal and mix until blended. Add in chia seeds and mix. Next sprinkle in the yeast, cinnamon, baking soda and salt and blend until incorporated. Last add almonds and chocolate chips and mix until uniformly spaced throughout. 4. 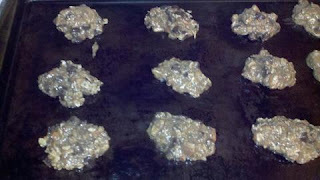 Space cookie dough out by the rounded spoonful on a sprayed cookie sheet and bake for 6 minutes. Take out of the oven and put on wire rack to cool. Eat, enjoy and make plentiful milk (or just eat because they're yummy!). Copyright - all ideas, recipes, and projects unless noted otherwise are property of Nasreen Stump.. Powered by Blogger.